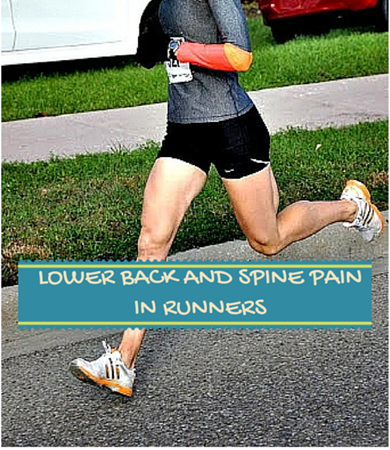 Lower back and spine pain is very common in both low and high mileage joggers, suggesting that running distance isn’t always the problem. The real problem is heel striking when running. Many experts assert the 2,000N force generated at heel strike as the correlate to lower back pain near the spine. The intensity of the force is also amplified when heel strike running downhill or on uneven surfaces. Looking more closely about how heel strike running hurts the spine, Regan (1990) investigated the effects of running on disk height and found that changes in disk height was due to the cyclic diskal and compressive loading that occurred at heel strike. The study found that compressive loads generated at heel strike exceeded interstitial osmotic pressure of the disk causing water to escape through the disk wall. They also found that changes in disk height was a function of running duration –as running distance increased, the disk height decreased. Another factor to consider is that changes in disk height evoked by heel striking during running may reduce the shock-absorbing capacity of the spine and may also negatively affect spinal motion segments. Cole et al. (1995) cautioned that reductions in spinal motion segments would magnify forces on the spine and increase the risk of spinal pain and dysfunction during running. It is theoretically possible that heel strike running is the wrong way to run. If humans evolved as heel strike runners, researchers will want to know what the evolutionary tradeoff is. Based on these findings, it’s hard to imagine an evolutionary advantage of heel strike running. Need more advice on how to run with less impact? Be sure to check out my other articles on how forefoot running reduces injury better than heel strike running. The forefoot strike running technique begins with what’s on your feet. Read about the Proper Forefoot Running Shoes. When it’s time to correct your biomechanics, running barefoot is the best ingredient. Don’t waste your time with cushioned running shoes. Find out why standard running shoes work against you, not for you. 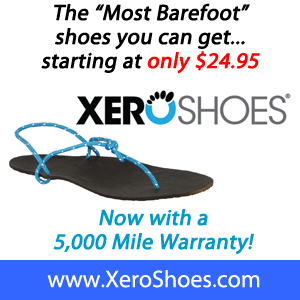 Having trouble learning forefoot running? Here are some things you might be doing wrong. Avoid the wall during your long runs with these water-soluble energy tablets. Cross train and strength train at home with these amazing workout machines. Cook et al. Running shoes: their relation to running injury. Sports Med, 1990;10:1-8. Cole et al. Spine injuries in runners: a functional approach. J Back Musculoskel Rehab, 1995; 5:317-339. Regan JJ. Back problems in the runner. In: Hochschuler SH, ed. Spine: state of the art reviews: Philadelphia: Hanely & Belfus, 1990;4:346-350. Reilly T., Leatt D and Troup JGD. Spinal loading during circuit weight training and running. Br J Sports Med, 1986; 20:119-124. Slocum DB and Bowerman W. Biomechanics of running. Clin Orthop, 1962;23:37-45. Wosh J and Voloshin AS. Low back pain: conservative treatment with artificifical shock absorbers. Arch Phys Med Rehab, 1985; 66:145-148.